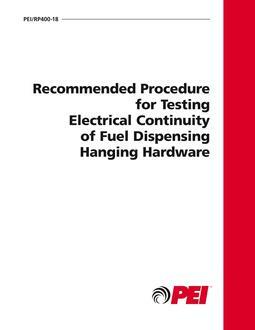 The Petroleum Equipment Institute (PEI) has produced this document as an industry service. It has been prepared in response to requests from underground storage tank (UST) system operators, tank testers and regulators for a single authoritative source of information. 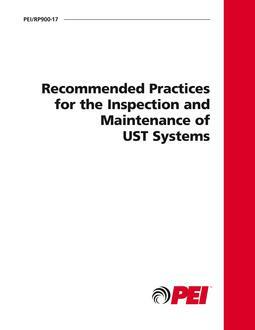 The recommended practices described herein represent a synthesis of industry procedures and manufacturers' recommendations relating to spill, overfill, leak detection and secondary containment equipment. 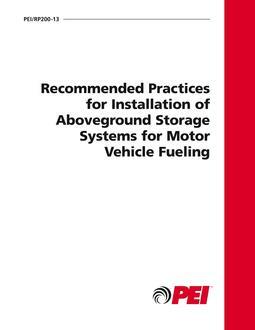 These practices are the consensus recommendations of the PEI Overfill, Release Detection and Release Prevention Equipment Testing Committee. The Committee is made up of representatives from equipment suppliers, tank owners, leak detection and release prevention testers, industryrelated associations and the regulatory community. In addition, the Committee has had the benefit of comments submitted by parties interested in leak detection and release prevention equipment. In instances where there were differences or omissions in material available from existing sources, the PEI Overfill, Release Detection and Release Prevention Equipment Testing Committee has included its own consensus recommendations based on the practical experience of committee members.